Sometime in 1991 or earlier, Mr. Alfonso Felix, Jr. obtained copies of two historical documents from the Biblioteca Nacional de Madrid written in 1755. He promptly translated the two texts entitled “The Siege of Palumpong” and “The Battle of Iligan.” The Society of Jesus printed the original Spanish texts in 1755 in Manila. The English translation by Alfonso Felix, Jr. was printed in Quezon City in 1991, more than two centuries later. The two articles, together with his Report and Acknowledgement speech, were published in a booklet titled Episodes of the Moro Wars. (I bought my copy from National Bookstore). It must be noted that priests, in this case, the Jesuits, printed the texts. 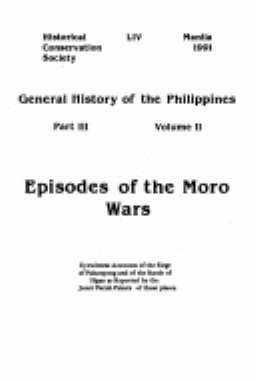 During the Moro-Spanish wars, the priests led the fight against the Moros. The priest was responsible for building the town’s fort, providing ammunition and cannons and commanding the “army”. He appointed all officers and men of the militia, guards and sentinels. Consequently, the friars were the Moros’ prime targets. They were decapitated, captured and generally ill-treated. The friar’s ransom went no less than 1,000 pesos and even went as high as 10,000 pesos (Dery, 1997, p.64). It can then be safely assumed that the texts were not objectively written. On the contrary, the texts most probably were propaganda materials used by the friars to lift the morale of the Christian natives, whom they called “naturales”. In 1991, Mr. Alfonso Felix, Jr. was the President of the Historical Conservation Society. The members of the Society at that time included Alejandro Melchor, Jesus Lazatin, Antonio Araneta, Jr., Enrique Syquia, Ernesto Aboitiz, Feliciano Belmonte, Jr., Antonio Concepcion, Francisco Elizalde, O.D. Corpuz, etc. – a veritable Who’s Who among the Filipino elites. In his Report and Acknowledgement speech of Aug. 28, 1991 in Manila, he minced no words. His prejudices and biases against the Moros and Muslims, in general, knew no bounds. Paul Ricoeur, French philosopher known for his phenomenological hermeneutics and like fellow Hermeneutics philosopher Hans-Georg Gadamer, believes that the reader and the text share an intimate relationship. In fact, “the text can speak to and change the interpreter.”(Littlejohn:1979, p.209) Ricoeur calls this process appropriation, i.e., a reader who agrees with the messages of the text, appropriates the ideas of the text as his very own. From the above example, it is patently clear that the 1755 texts and Mr. Felix had an “intimate interaction.” Although 236 years separate the text and the reader (Mr. Felix), the reader appropriated the meaning of the texts. Mr. Felix was so worked up by the messages of the text such that he ended up delivering a very emotional address to the Historical Conservation Society. Mr. Felix was obviously a rich and intelligent Filipino. He spoke Spanish fluently and presumably was well-read and well-traveled. Presumably, he was well respected by the society at large. He was after all, the head of the Historical Conservation Society as well as a friend of foreign dignitaries. Yet his speech could rank as one of the most bigoted speeches of the century. Was he not afraid of ridicule from his colleagues in the Historical Society? Apparently, he knew them and he knew that all of them shared the same prejudices. Perhaps the others just did not dare express them publicly. Stanley Fish, another theorist who uses the hermeneutic circle, maintains, “readers are members of interpretive communities, groups that interact with one another, construct common realities and meanings and employ those in their readings.”(Littlejohn, p.209) The world may be shocked at Mr. Felix’s speech, but Mr. Felix very well knew that he and his audience belonged to the same interpretive community and therefore the meanings he derived from the old Spanish text would be shared by everyone in his Society. Stanley Fish’s reader-response theory does not ask, “What does a text mean?” but “What does a text do?” In this example, the 1755 Spanish texts prompted the President of an historical society in 1991 to deliver and publish a scathing attack on Islam, the Moros and the Muslims. Mr. Felix also proved the hermeneutic belief that “history is not separated from the present. We are always simultaneously part of the past, in the present, and anticipating the future…” Although the texts were hundreds of years old and that the present political reality is so very different from the one depicted in the texts, Mr.Felix’s reaction was still as if the Past is the Present. 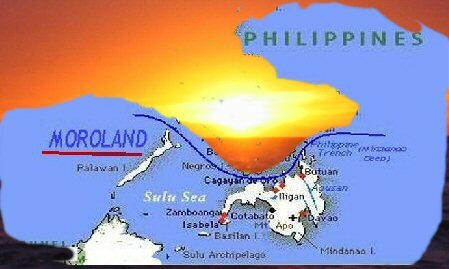 Although the Moro Wars between the Moros and the Spanish were over a long time ago, he called on the Philippine President, addressing her with the Spanish honorific Doña, to wage war against the Moros. There are some people clamoring for Moro history to be taught to Filipino high school or college students. First of all, there is a dearth of textbooks on Moro history. I could only think of Cesar Adib Majul’s Muslims in the Philippines. I doubt if Saleh Jubair’s Nation Under Endless Tyranny would be considered a good textbook by Christian authorities. The very title would be a no-no. What would the Christian Filipino history teachers feel if they read documents like the Siege of Palumpong and the Battle of Iligan? Would they, like Mr. Felix, Jr., vent their anger on the Moros by denouncing them in their classes? What would the Christian Filipino teachers feel if they read the sermons and homilies of the Spanish priests denouncing the Muslims and calling on the Indio-Filipinos to join the veritable Crusade against the Moros? Can the Moros trust the Filipino historians if the President of the Philippine Historical Conservation Society in 1991 called the Moros “devils in human form” or citizens “of the Republic of Mad Dogs” or “reptiles”? Moreover, in 1991, members of that historical organization included the likes of Alejandro Melchor, Jesus Lazatin, Antonio Araneta, Jr., Enrique Syquia, Ernesto Aboitiz, Feliciano Belmonte, Jr., Antonio Concepcion, Francisco Elizalde, O.D. Corpuz, etc. This historical society’s membership boasted of the country’s elites. Thus, Mr. Felix, Jr. insisted that his thoughts was shared not only by his fellow elites but also by the Filipino peasants and soldiers. Mr. Felix was, in effect, saying that he and all sectors of non-Moro Philippines belong to ONE INTERPRETIVE COMMUNITY. And so, how can Moro history be taught in Philippine schools with an interpretation different from how it is being interpreted since Spanish time; i.e., Moros were / are bandits, outlaws, pirates, slavers, heathens, savages, etc.? !